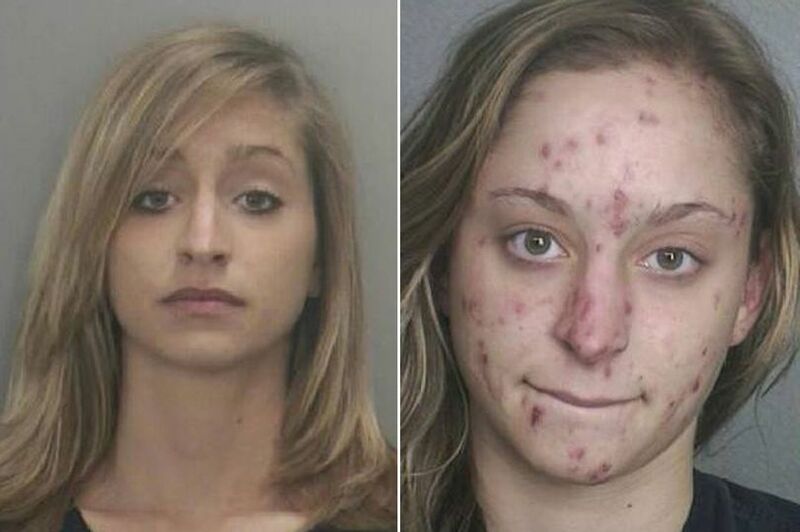 A drug charity has released a harrowing series of photos showing the effects addiction can have on a user's appearance. 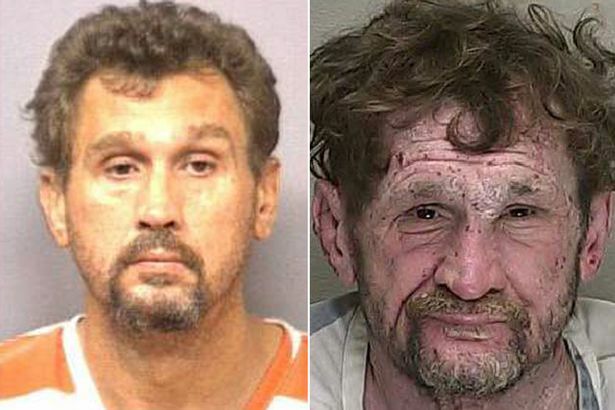 The images show mugshots taken over several years and reveal how a person's looks change dramatically. All of those featured were regular users of substances including cocaine , heroin, meth and ocycodone. Campaigners from Rehabs hope releasing the pictures can discourage people from using drugs. 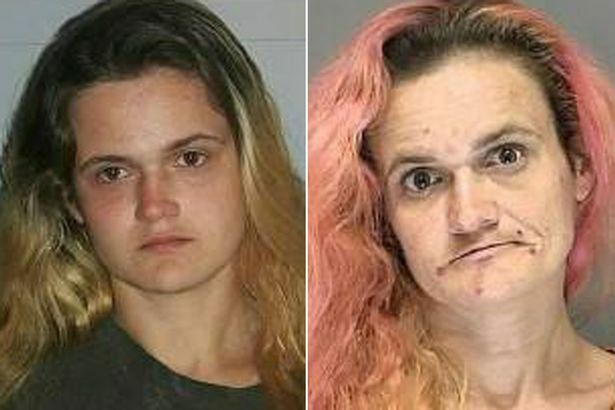 Among the effects shown in the images are weight loss, bloodshot eyes, scabs on skin and tooth decay. 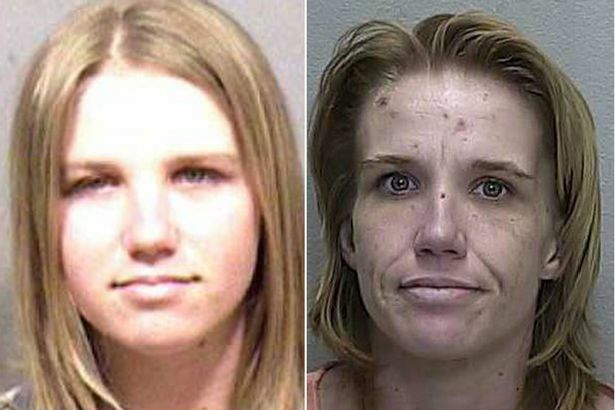 A statement posted alongside the pictures says: "There is little arguing that the effects of street and even prescription drug abuse can dramatically alter a person's physical and mental state, sometimes irreversably. 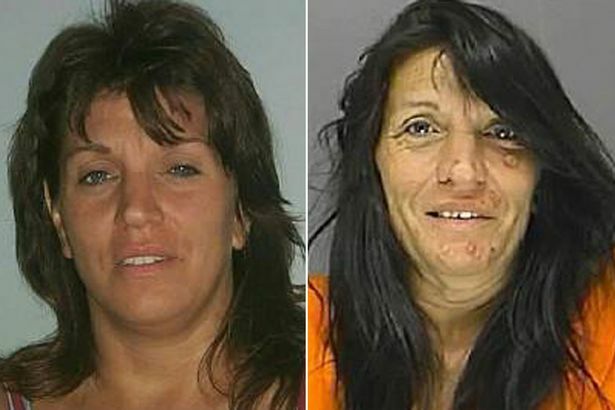 "The individuals depicted in these photos were arrested for drug and drug-related offences. "The deterioration seen in consecutive photos is not necessarily the direct results of drugs or addiction, though in aggregate it becomes clear that involvement of illegal drugs often brings with it a rapid, and tragic, physical decline. "All persons are considered innocent of the crimes they were arrested for until proven guilty. "Rehabs.com urges anyone featured here to discuss affordable treatment options." However, concerns have been voiced that releasing images like these only serve to stigmatise drug users.